Known for being versatile, hydroponics is appropriate for use in developing countries as it efficiently produces food in arid and mountainous regions, on city rooftops, or, in other words, pretty much anywhere. In highly populated tourist areas, for example, where rising land prices have driven out traditional agriculture, hydroponics can provide specialised, locally-grown crops of high nutritional value. Hydroponics is the science, the art, and the technique of growing plants without soil, where the essential elements for the growth and development of plants are supplied through a nutrient solution that provides, in accurate and constant measure, all the nutrients that the plants need. This technique saw a huge boost during World War II, as the American Armed Forces appropriated the technology to provide fresh greens and other vegetables on aircraft carriers and submarines, at military bases, on volcanic islands and in deserts and polar regions. However, it is well documented that the Hanging Gardens of Babylon and the floating gardens of the Aztecs used this cultivation technique. Hydroponics should preferably be carried out in a greenhouse environment, wherever there is a commercial and large-scale production interest. 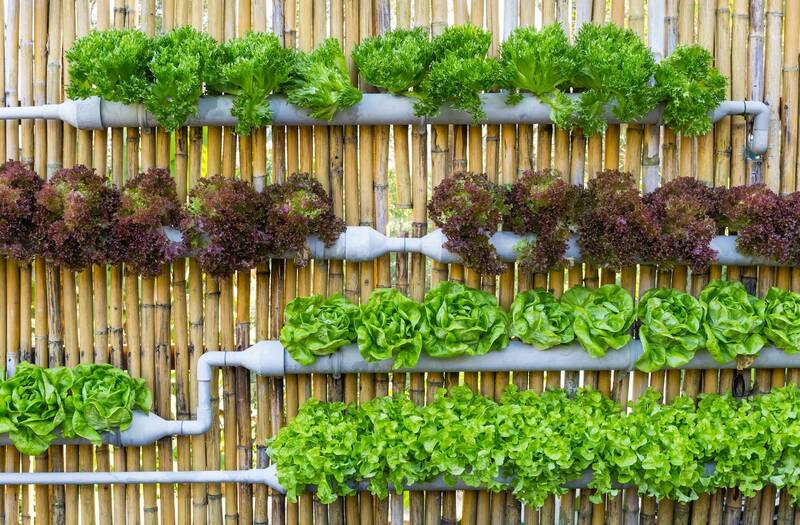 But it is also possible to have small hydroponic backyard gardens, on terraces or in your home kitchen thanks to the simplicity of the structure required for a small crop. This technique involves plants being grown in specific tubes, through which a solution of water and dissolved nutrients – balanced according to the need of each plant species – circulates. This system has a reservoir where the nutrient solution is stored. From the reservoir the nutrient solution is pumped to the top of the cultivation bench, passing through the channels and collected in the lower part of the bed, before returning to the tank in a closed system. 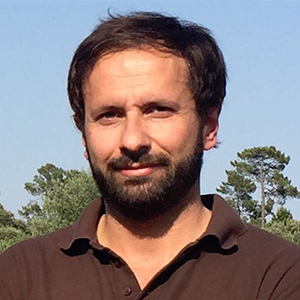 This system saves between 80 to 90% of water compared to traditional farming. 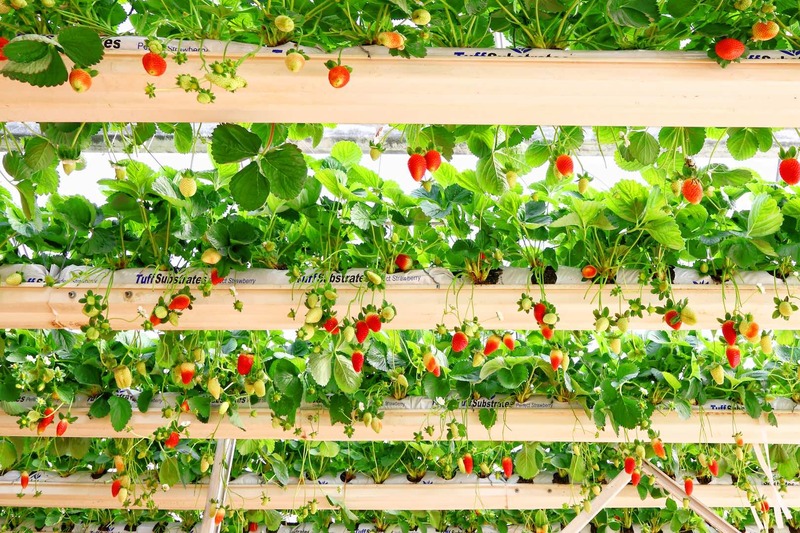 This is a re-circulating hydroponic cultivation technique with or without soil, which is particularly suited to growing vegetables and strawberries. This technique allows crops to develop in an optimal environment where they receive water, oxygen and all the nutrients they need. The NGS represents a new crop-growing system that achieves high yields of excellent quality, regardless of the soil, using flowing water with nutrients. This technique is used to sustain fruit, flowers and other crops, whose root system and above-ground section are more developed. Channels, bags or vases filled with inert material, such as sand, perlite, stone wool, peat and coconut fiber, are employed. The nutrient solution is percolated through this material and drained by the plant via a drip irrigation system. The semi-hydroponic system is widely used in Europe, where it is known for allowing the best usage of growing space. This technique consists in growing plants in stacks, supported by the root plugs, allowing the roots to directly receive small droplets or mist of nutritive solution, by means of sprinklers, providing the ideal growth of the vegetal crop. Aeroponics allows a farmer or even a homeowner to produce a large amount of food in a small space. Advanced technology differentiates this model from all others, allowing farmers to achieve high profit rates. The only drawback is the high cost of deploying the system and the need for precise control over the entire process. This system takes its name from the fact that there are no cultivation channels; instead there is a cultivation table sat on a pool of a nutrient solution. Hence the name ‘floating’; because unlike the other systems of hydroponics, there is a sheet of nutritive solution. Spheroid plates are placed over this pool, allowing the nutrient solution (approximately 4 to 5 cm deep) to seep up, which is sufficient for the development of the seedlings’ root system, keeping the soil moist and allowing the nutrients to be absorbed. In the floating system the roots of the plants are submerged in the nutrient solution and thus remain throughout the cultivation period, so the oxygenation of the solution requires special attention. Aquaponics is a food production system that combines conventional aquaculture (creation of aquatic organisms such as fish, lobsters and shrimp) with hydroponics (plant cultivation in water) in a symbiotic environment. In common aquaculture, excretions of farmed animals can accumulate in water, increasing their toxicity. In the aquaponic system, aquaculture water feeds a hydroponic system, where by-products are broken down by nitrifying bacteria into nitrites, and then into nitrates, which are in turn used by plants as nutrients. The water is then re-circulated back into the aquaculture system. 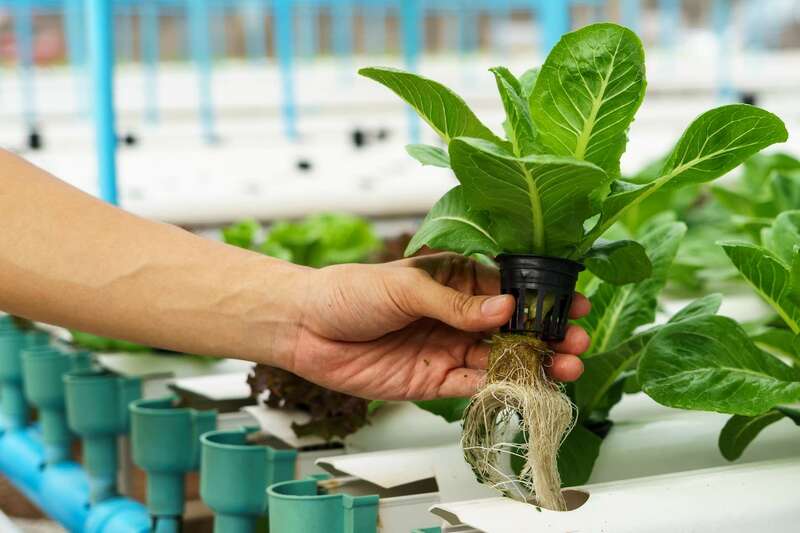 This is a form of agriculture that combines fish farming and vegetable farming (Hydroponics), which has recently become popular with garden-owners and environmentalists in the United States and elsewhere. Particularly in Australia, where droughts have made aquaponic cultivation even more popular, as it requires up to 90 percent less water than conventional methods of production.